July the 4th may be more well known in America as its independence day but the UK is taking it back I an effort to support the solar industry. The Solar Trade Association (STA) is using the day as a platform to promote solar at a time of uncertainty. Despite the difficult time for the UK solar industry, solar can bring real benefits to the UK and is a technology to be celebrated. The UK solar industry is going through a tough time at the moment, re-adjusting and re-calibrating after the massive changes in the support framework for solar earlier this year. 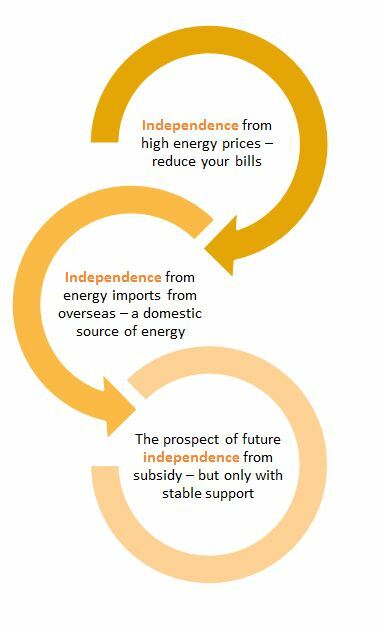 However despite this, the Solar Trade Association is organising Solar Independence Day 2016, to spread awareness of the benefits of solar energy to the UK. Just six months after the Paris Agreement the global mood music is clear: time is running out to avoid dangerous climate change. The STA have put together a campaign which includes banners and posters for its members to display and a thunderclap campaign which simultaneously tweets a message of support from any twitter or facebook account that signs up. MP’s are also pledging their support to the cause.